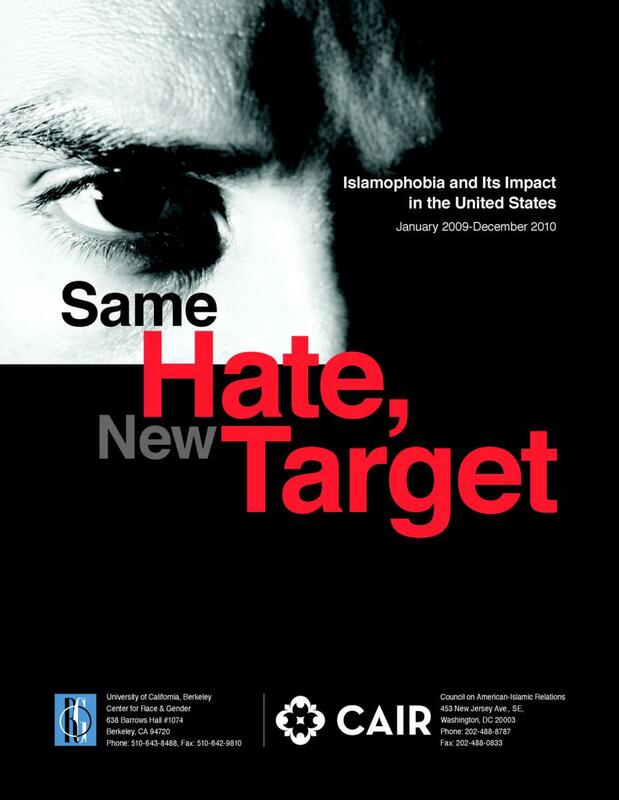 The Council on American-Islamic Relations (CAIR) and Berkeley University recently issued a joint report on “Same Hate, New Target: Islamophobia and Its Impact in the United States 2009-2010”. There are a few interesting questions arising from this joint effort between one of Americas largest Islamic hate groups and a university that prides itself on politically inclusive speech and “diversity”. - Why did Berkeley join with a known Islamic supremacist hate group with proven ties to Islamic terrorism to issue a report? - Why wouldn’t Berkeley respond when Anti-CAIR e-mailed them simply asking for an explanation on their relationship to CAIR? Time and money was wasted, trees were needlessly cut down, much pontificating and smoke blowing went into the Report About Nothing and it seems nobody cares. 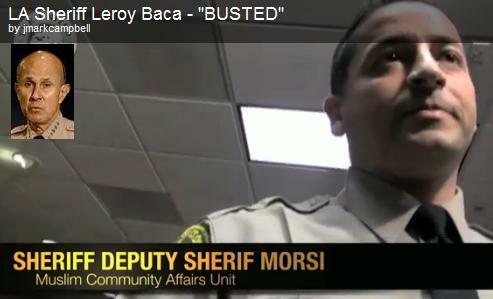 L.A. County Sheriff Lee Baca's Muslim Community Affairs Unit Spills The Beans On The Muslim Brotherhood? L.A. County Sheriff Lee Baca has unfortunately shown to be a tireless defender of CAIR. Despite all evidence proving CAIR's creation by HAMAS supporters and operatives to advance the goals of the Muslim Brotherhood and support HAMAS, Baca has publicly and enthusiastically defended CAIR as witnessed at the recent congressional hearings held by Rep. Peter King. So an interesting event occurred at the Islamic Center of Southern California (ICSC). The Center was hosting a community town hall meeting led by the Muslim Public Affairs Council (MPAC), a group founded and staffed by supporters of the Muslim Brotherhood and other like-minded Islamofascists. "I don't work terrorism, that's not my function,...I don't deal with terrorism, I'm not going to make any comments on terrorism..."
Deputy Sheriff Sherif Morsi did what probably no other Muslim in that meeting would have done, let alone in public. When asked about the Muslim Brotherhood he quickly and emphatically equated the group with TERRORISM. There can be no mistake here. Morsi clearly related the Muslim Brotherhood with Terrorism. L.A. County Deputy Sheriff Sherif Morsi apparently knows the real danger the Muslim Brotherhood poses to the United States of America. Maybe he can one day clue-in his boss?